In The Man Way column we talk about how guys do things, especially when we do them right. 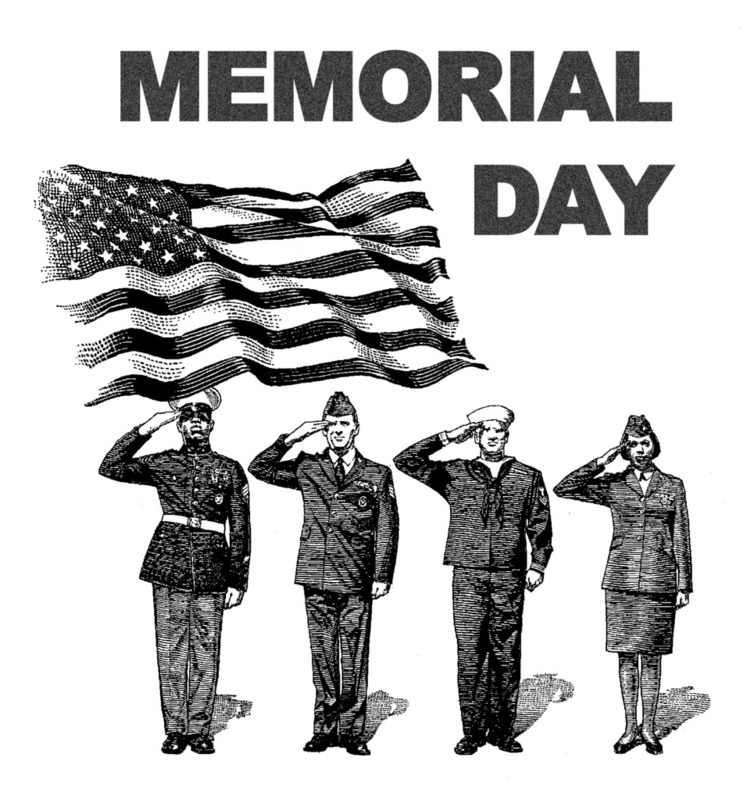 With it being Memorial Day weekend, I wanted to cover ways for men to do right by the holiday - to observe the reason for the holiday in addition to the fun festivities we will participate in as part of the three-day weekend and the unofficial start of Summer. The holidays seem to have evolved into days we celebrate for having a day off of work rather than for recognizing why it is a holiday - a 'holy' or sacred day. We plan parties or dinners, go to sporting events or use the extra time to fit in a movie, but the commemoration of the day's origin and meaning fall by the wayside more and more each year it seems. So this Memorial Day, make sure you take some time to honor what it is about, a Memorial or memory of men and women who died in service to America. Buy a Milwaukee Brewers Memorial Day cap or jersey. On Memorial Day, MLB will join the National Moment of Remembrance, an initiative the league has participated in since 1997, where all games will stop for a moment at 3:00 pm local time. 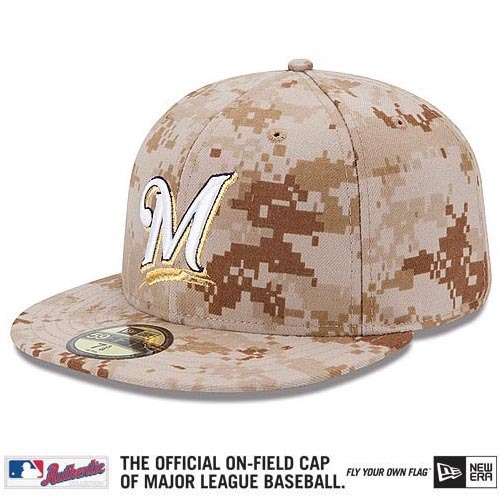 The Brewers and visitng Twins will be wearing specially designed caps and jerseys featuring an authentic military digital camouflage design licensed from the United States Marine Corps. You can buy replicas of the cap and jersey here and MLB.com will donate ALL NET PROCEEDS to the Welcome Back Veterans Fund for each cap sold. Honor your old US flags. Milwaukee Harley-Davidson is collecting your old, tattered flags so that they can be disposed of in a proper, dignified manner. Bring them in any time to MHD between now and Saturday May, 25 to their location at 11310 W Silverspring Rd Milwaukee WI 53225, then join them for a Spring Open House with a lovely Memorial Day Weekend Picnic! Live music will be performed by Lunacy from 12 noon - 4 p.m. Activities include: *Harley-Davidson Jumpstart - drive a REAL Harley-Davidson Motorcycle! *Audio Demos *Leather Care Workshop *MotorClothes Tent Event *Milwaukee Ink Tattoo Shop - Open House *Bikini Bike Wash (weather permitting) The evening will end with a Dignified Flag Retirement ceremony. Donate to Dry Hooch, an organization started in Milwaukee that uses coffeehouses as places for veterans who survived the war survive the peace, that is deal with returning to everyday life and the challenges that entails. You can donate your old suits to Dy Hooch as well so a vet without the means can wear them to an interview. When you shop at Macy’s between May 12th and June 9th, you can buy a pin for just $3 to Got Your 6 at the register and in return, will receive a 15/20% savings pass for any day you choose (exclusions apply.) You can also donate $6 to Got Your 6 and receive a golden Got Your 6 pin to wear your support, as well as the savings pass. Click here to find out more. These are a just a few suggestions to do, check back as we will post things as we see or hear of them and take some initiative to look for meaningful things to do yourself. Here is a link to other local parades. They may be small but full of heart. Come on out and salute/applaud our local servicemen and woman, veterans and those currently serving.